Keep your fleet on the road! It takes the team of ASE Certified technicians at EN-TIRE Car Care Center in Lawrence and Gardner, KS to keep your business fully operational. Don’t wait until it’s too late to let our expert technicians design a fleet service plan for you. Preventative maintenance will make sure your fleet stays road-ready. 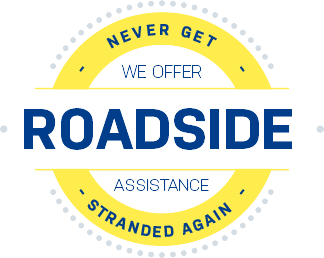 The amount of road travel that you expect out of your fleet requires a consistent service schedule. Owners can stay ahead of any expensive repairs that take their vehicles out of the rotation. Oil changes, tune-ups, fluid services, inspections, and much more are routine services that keep you on the road, and keep the money rolling in. Time Is Money–Our Fleet Service Saves Both! Your business operates more efficiently when you have us to focus on your fleet. Tires and engines need the most attention. Extensive road travel will cause wear them down quickly if you don’t have a team to keep an eye on their condition. Any time spent in our service bay or on the side of the road is time and money that you’ve lost. That’s why we keep your fleet’s services quick and convenient. Our team will have you in and out in no time after performing thorough inspections, diagnoses, and maintenance. We’re here to make sure your fleet is ahead of any potential problems or breakdowns. The key to our quality fleet service is prevention. Our team is ready to put your fleet back on the road. We have a clear path to your fleet’s peak performance. All of EN-TIRE Car Care’s services are handled with the same excellent tools, equipment, and expertise. Give us a call today at 785-842-5500 to schedule your fleet services. Don’t hesitate to stop by with any questions or concerns about your fleet’s services. We look forward to serving you and servicing your vehicle. You can also use our convenient online scheduling system to schedule your appointment right now!